At the initiative of the Vilna Gaon State Jewish Museum, the Memorial Museum of Holocaust in Lithuania and Vilna Ghetto will be established in the historical building, which hosted the public library “Meficei Haskala“ during the prewar period and the Vilna Ghetto Library in the later years. The current Holocaust exposition of the Vilna Gaon State Jewish Museum, located on Pamėnkalnio Str. 12, is not anymore capable of accepting the growing number of visitors. Due to inadequate exhibiting conditions it is also not possible to display the most unique exhibits of the museum’s collections, such as the Plastic Model of Vilnius city, created by the inmates of the Vilna Ghetto. Large collections of Holocaust documents, including diaries, photos, posters, art objects, personal items, recordings and videos are preserved in the funds of the Vilna Gaon State Jewish Museum. This rich cultural heritage and Holocaust history will be presented in the expositions of the Memorial Museum of Holocaust in Lithuania and Vilna Ghetto. 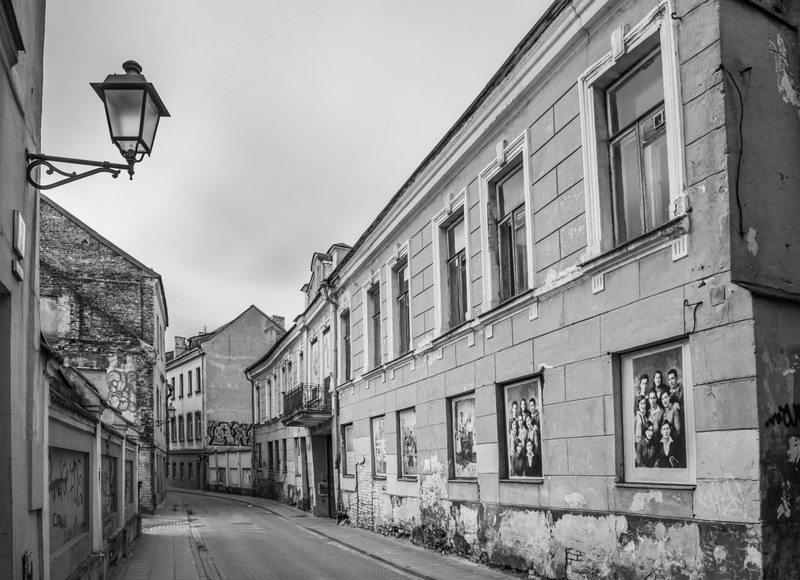 The venue of the new museum was not chosen accidentally – the historical building, located in the territory of Vilna Ghetto, will help to present the circumstances and history of the Holocaust in Lithuania in an authentic way. Before the Second World War the house on Strašūno Str. 6 (currently – Žemaitijos Str. 4) hosted the public Jewish library “Meficei Haskala“. In 1940, during the first Soviet occupation, the library was nationalized. In spring of 1941 it was reorganized to library No. 5. Until the establishment of the Vilna Ghetto the first Judenrat was working there. Later on, the library was included into the territory of the Large Vilna Ghetto, and the library was active almost until the liquidation of the ghetto in September, 1943. The library was headed by a refuge from Warsaw, bibliographer Herman Kruk, who established and managed Statistical Bureau, Ghetto Archive and a museum. H. Kruk was also writing a ghetto diary, known today as “The last days of the Jerusalem of Lithuania“. The building of the library also hosted the so called Ghetto University. Events of the Writers and Artists Union, History Union and other cultural organizations were often held in the Vilna Ghetto library hall. Due to its cultural activities, the library was often called the Cultural Center. The building also hosted sauna, headed by the leader of the Vilna Ghetto resistance organization, Icik Vitenberg. In the sauna, the members of the resistance movement were hiding weapons and learning how to use them, while in the library’s reading room they were discussing what to do next – to rebel at the ghetto or to join the partisans. There was a sports field in the courtyard of the library and a jail in front of it. In 1945, a group of Holocaust survivors, leaded by Shmerke Kaczerginski and Abraham Sutzkever, established Jewish museum in this building. The museum was closed by the Soviet authorities in 1949. During the years of Soviet occupation the ghetto library building hosted the Librarians‘ Technikum, later on – the Vilnius J. Tallat-Kelpša music college, renamed as conservatory in 2004. Currently the building on Žemaitijos Str. 4 is in emergency state and needs stabilization works. The Vilna Gaon State Jewish Museum submitted a proposal to the Department of Cultural Heritage to include the building into Register of Cultural Properties. You may contribute the project of the Memorial Museum of Holocaust in Lithuania and Vilna Ghetto by volunteering, donating or lending exhibits as well as by making financial donations. For more information, please contact the Head of the History Research Department, Neringa Latvytė-Gustaitienė, tel: (+370 5) 212 7083, e-mail: neringa0207@gmail.com.